With FilmGewinn.de you offer your visitors the opportunity and chance to win a Samsung LCD Flat monthly. Participation in this competition is free of charge, follow costs do not exist here also. 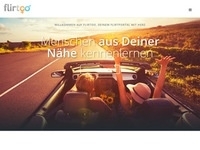 Apply FilmGewinn.de and earn EUR 0.50 per successfully mediated participants. It only validated sweepstakes participants will be reimbursed. Participants that are not validated after 72 hours are not remunerated and will be canceled. Note: duplicates will not be reimbursed.